World Map of Countries Where Designs For Hope Product is Located. 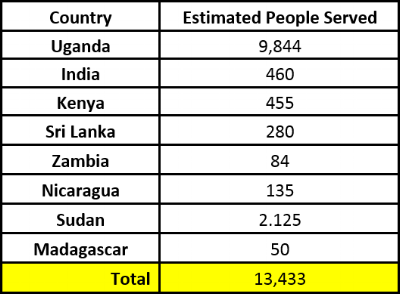 Estimated number of people that have been impacted through the work of Designs For hope and our partners. Like-minded organizations that purchase and place our products for their own missional causes. Covenant Partners receive discounted product pricing. Churches, and organizations that support our ministry financially.